We have created a short write-up for each of the twenty-one (21) bands performing at this year's Music Festival. They are not listed in any order. 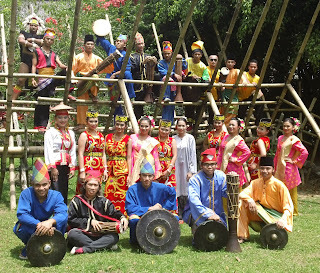 Music like it has been in the jungles of Borneo for centuries. A fitting performance on the 10th anniversary of the earthquake and resulting tsunami in Sumatra. 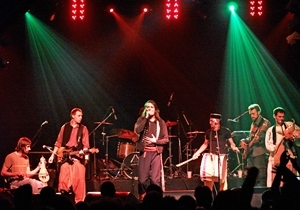 Regarded as Iran’s most prestigious folklore music band. 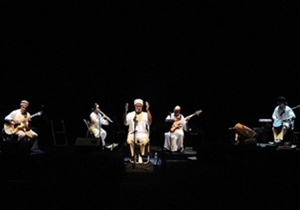 They play Boushehri music that is the amalgamation of centuries of social, cultural, religious melting pots in Iran. They have received 7 awards for performance of Ney-Anban, 3 Best Music titles, 3 Best Singer titles, 3 awards for Best Percussion from Iran. The rare and dying art of the nose flute of Sarawak. This is the instrument used for courtship among the Kayan people. Juk Wan Emang is 71 years old and comes from the interior of the Rainforests. 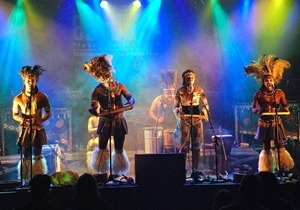 Their performances portray their unique lifestyle, religions and tribal legends in their performances. 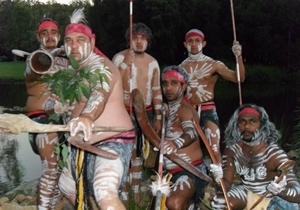 They have been called the Australian answer to the New Zealand Haka. 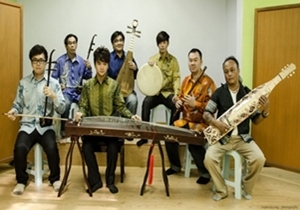 Sarawak flavor and Malaysian folk music interwoven with Chinese traditional instruments. 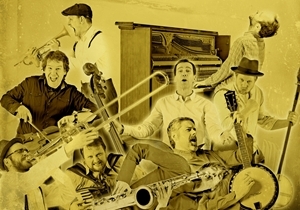 One of Denmark’s leading folk bands that uses old folk melodies in 21st century presentation. Oral blessings from the different indigenous tribes of Sarawak – the Bidayuh, the Iban, the Orang Ulu, the Melanau. Painted warriors, female dancers, traditional music played on handmade instruments. 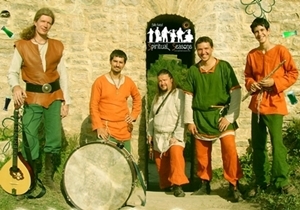 Medieval, Irish and Scandinavian folk band from Kharkov, Ukraine. 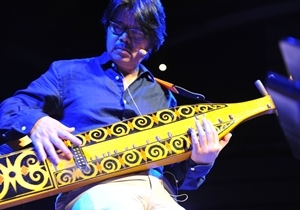 Dato Medan Abdullah on the legendary boat lute of Sarawak – the sape. A mix of traditional instruments with contemporary compositions. 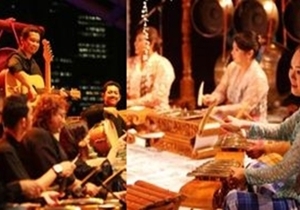 “Best Music Concert” award in the World Music category at the 2004 BOH Cameronian Arts Awards. Voice” and “Best Musical Direction” (Sunetra Fernando and Jillian Ooi) in the Music category. Ancient songs and dances revived and brought to the stage with wild exuberance and energetic performances. The very well known musician, artist and instrument maker, Matthew Ngau, with traditional Orang Ulu music on the beautiful boat lute of Sarawak, the sape, accompanied by percussion and a dancer. Fiesta dance music of Colombia. 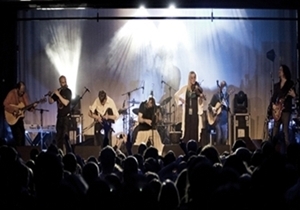 Traditional Croatian chants – very dark, very mystic – fused into wild ethno rock. 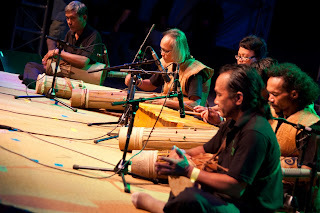 A collection of different percussion instruments of Sarawak – drums, gongs, bamboo. Songs based on gorgeous traditional Irish melodies. Music from Turkey and the Balkans. A mix of eastern and western colours. 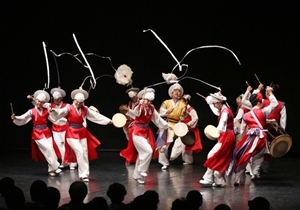 Korean traditional music with acrobatic and dance woven into the performance. 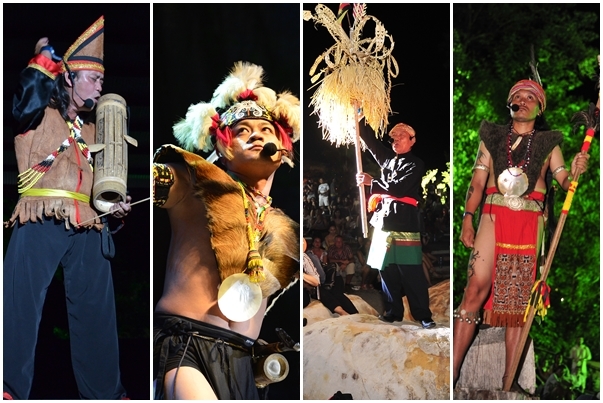 The show includes shamanic prayer songs, pansori and pangut performances. 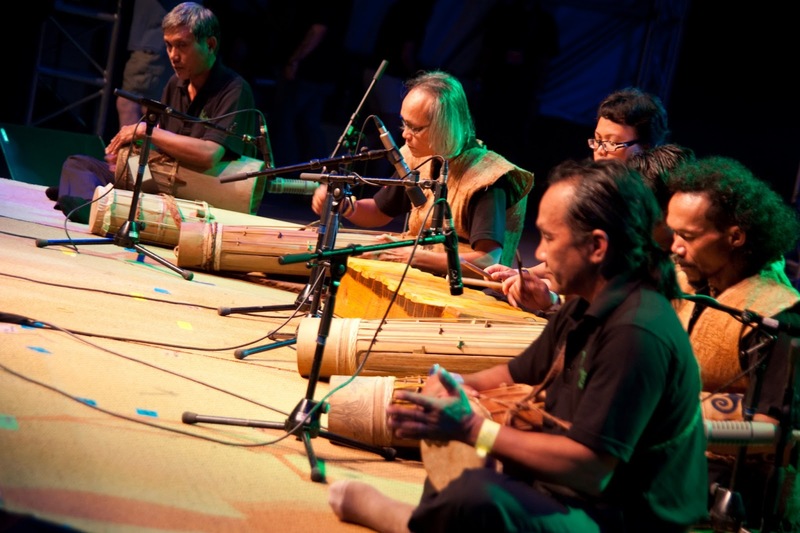 The Rainforest World Music Festival is organised by the Sarawak Tourism Board.